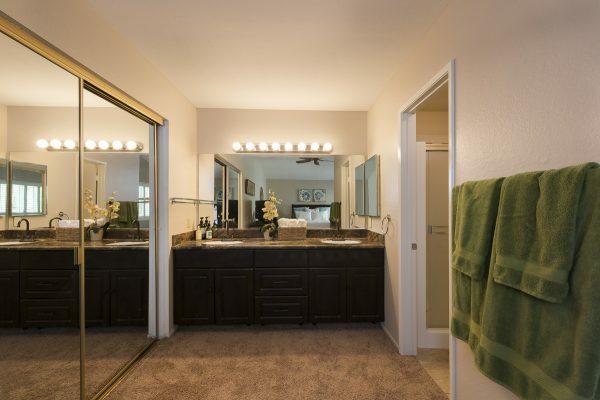 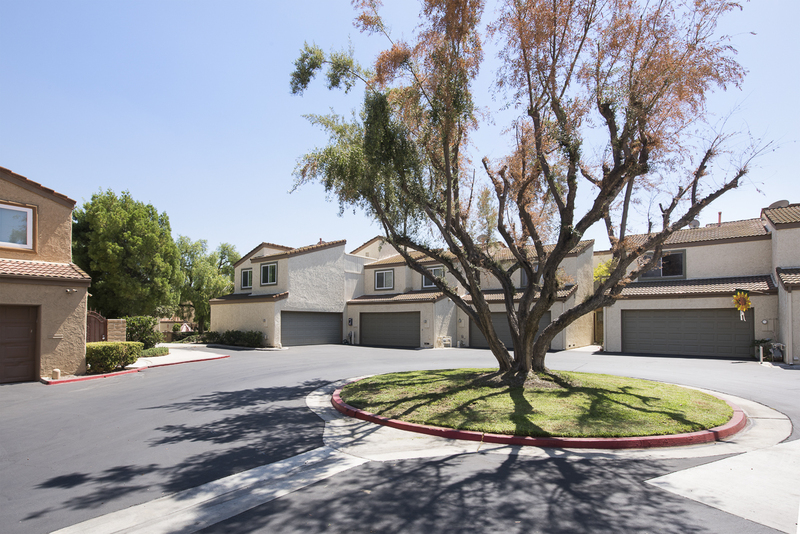 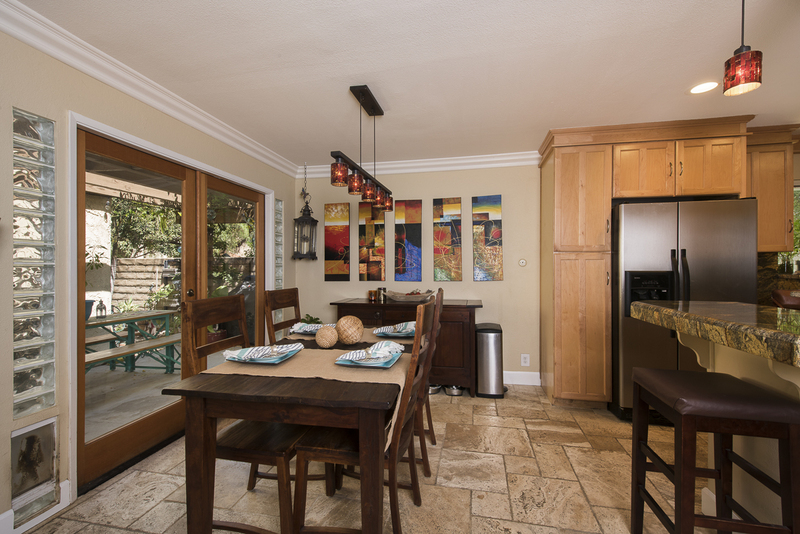 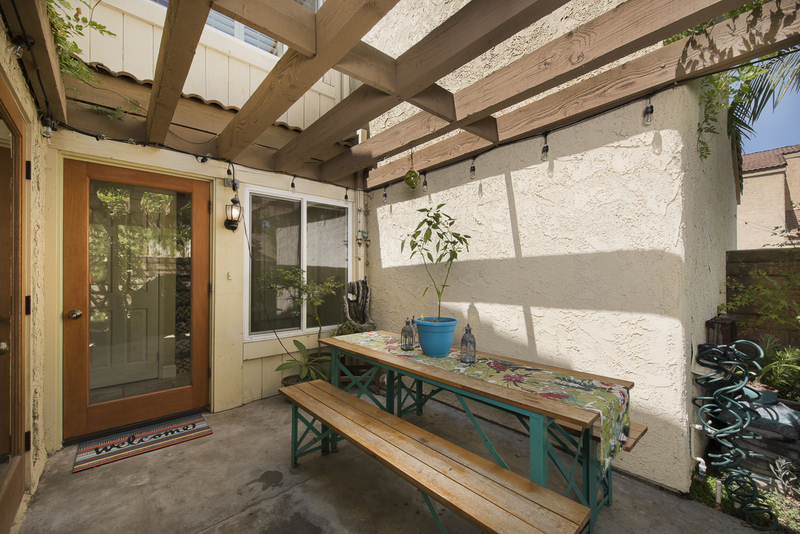 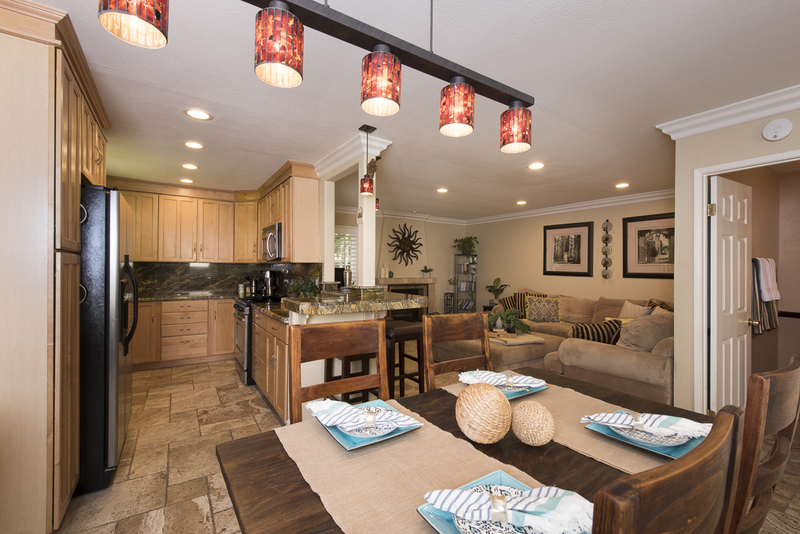 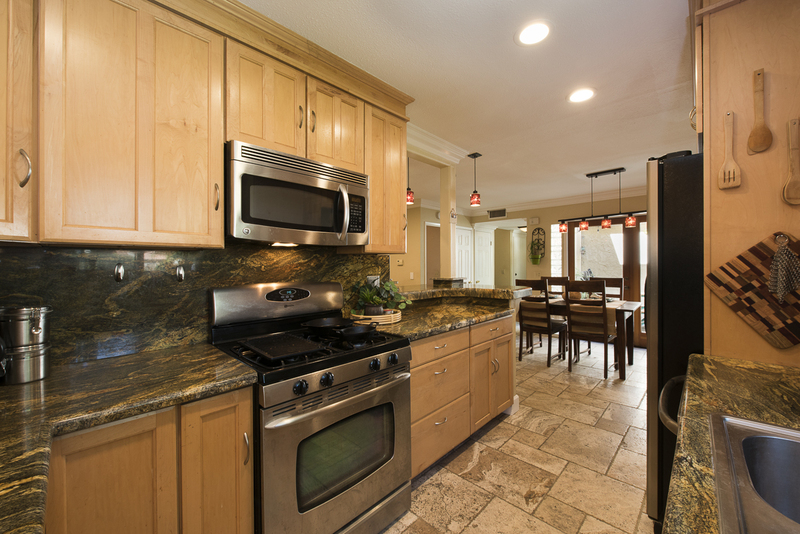 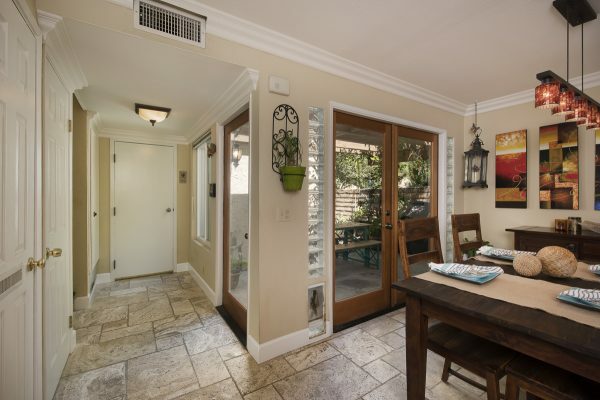 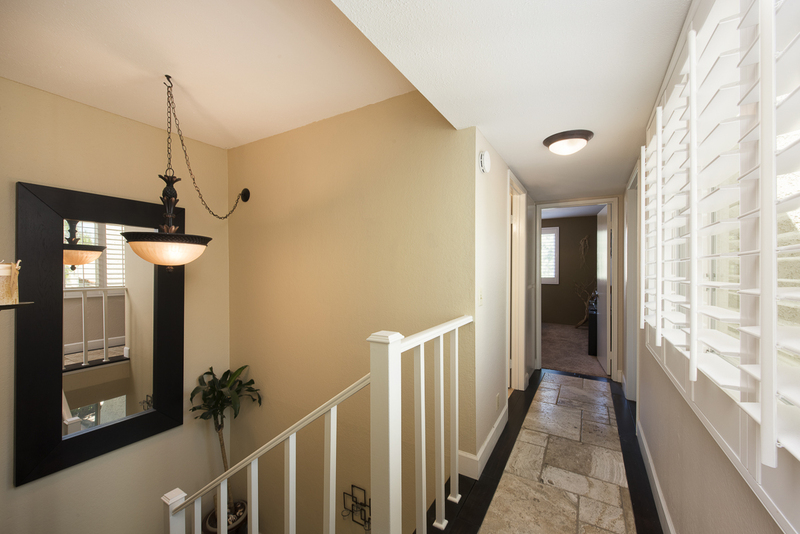 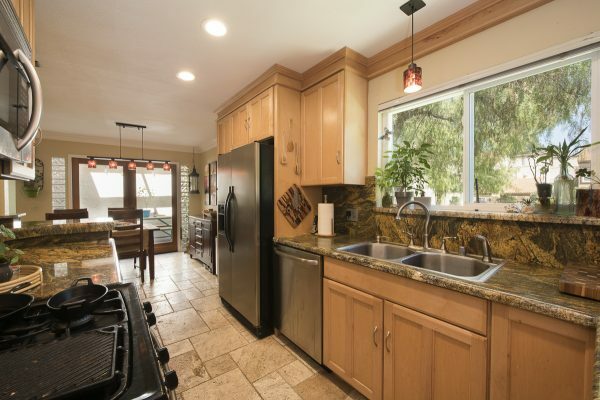 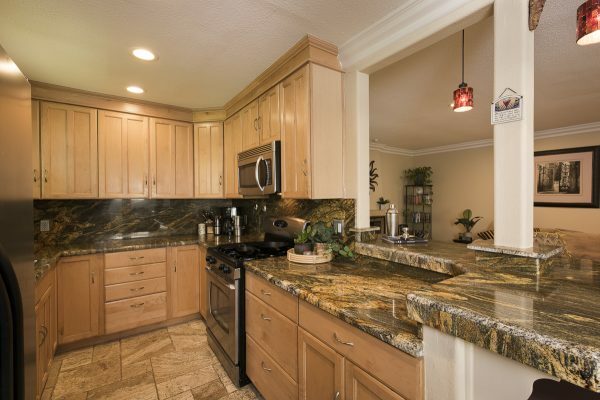 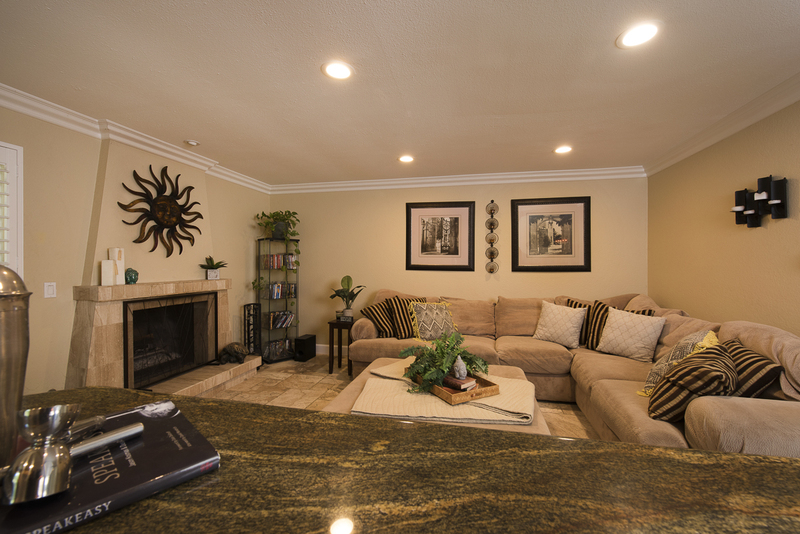 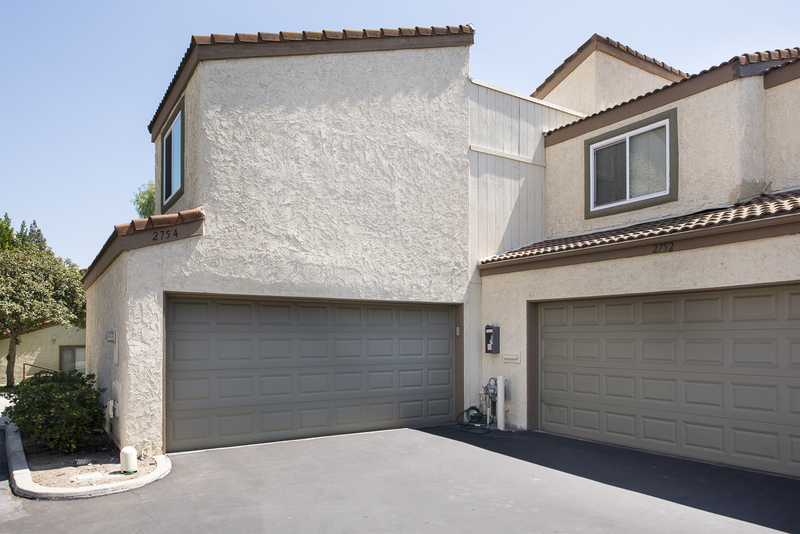 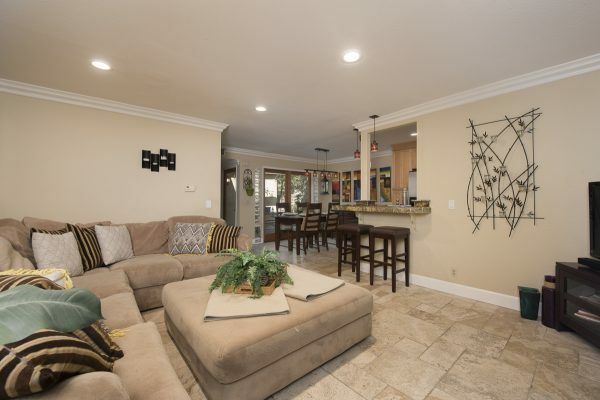 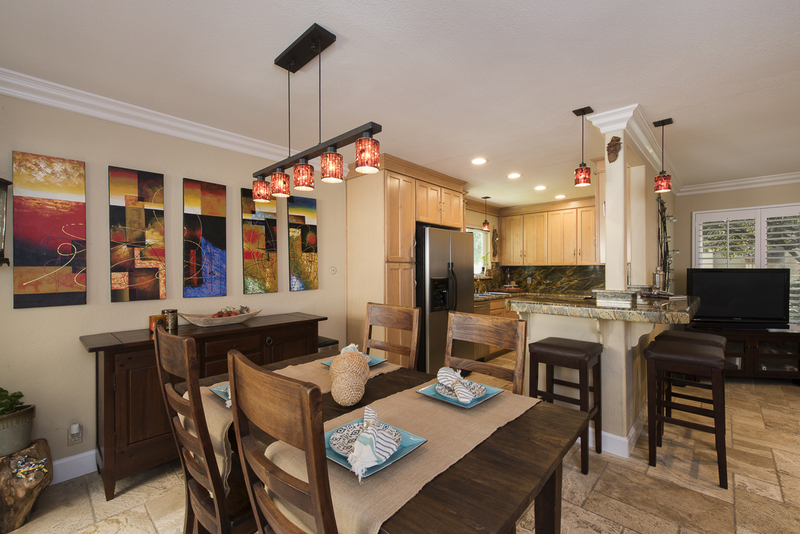 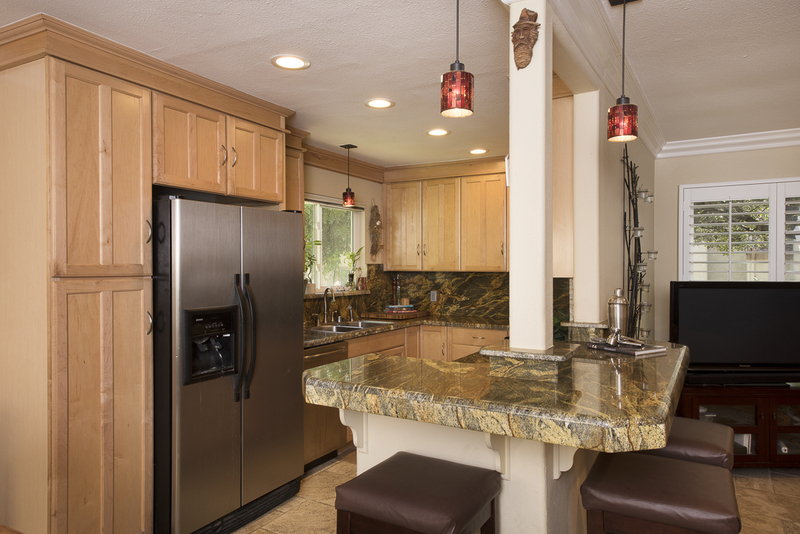 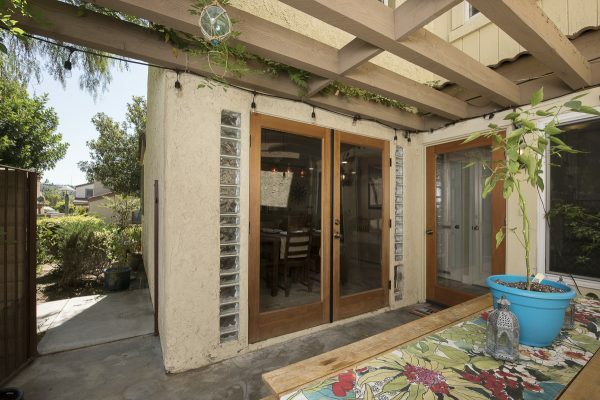 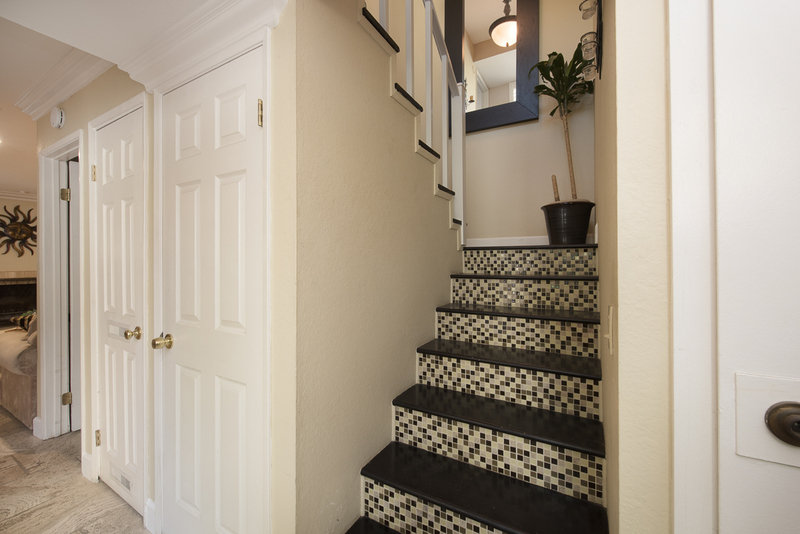 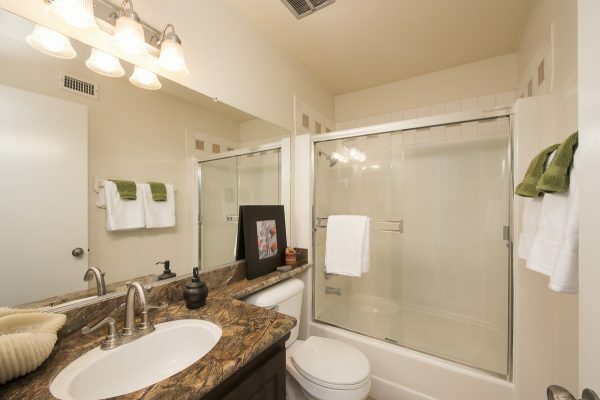 Mark III Highly Upgraded Townhouse – Would you like to close escrow and move right in? Here is your chance. 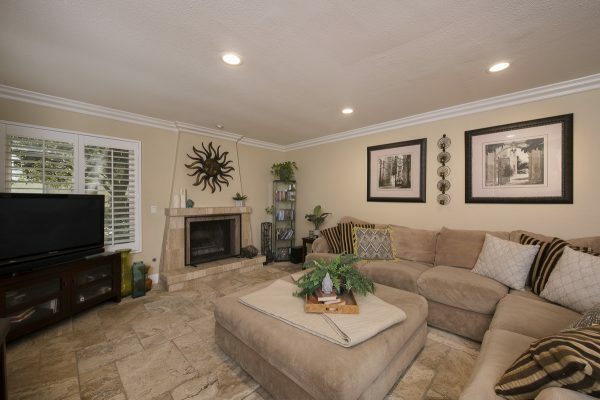 This beautiful Mark III home has had most of the work done and is move-in ready. 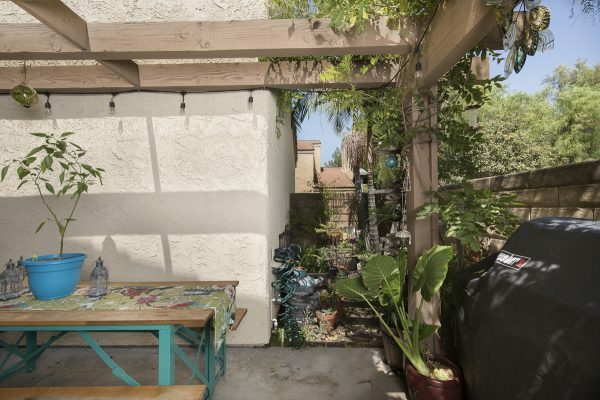 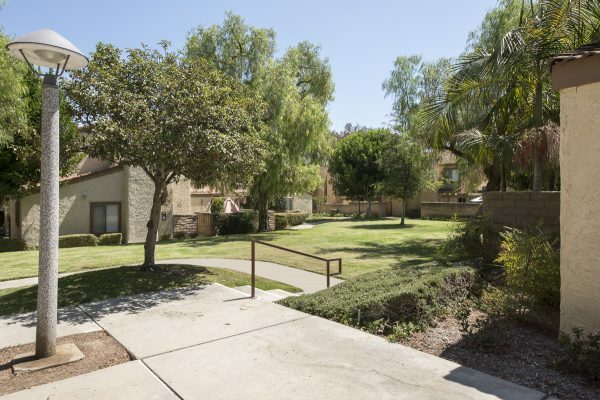 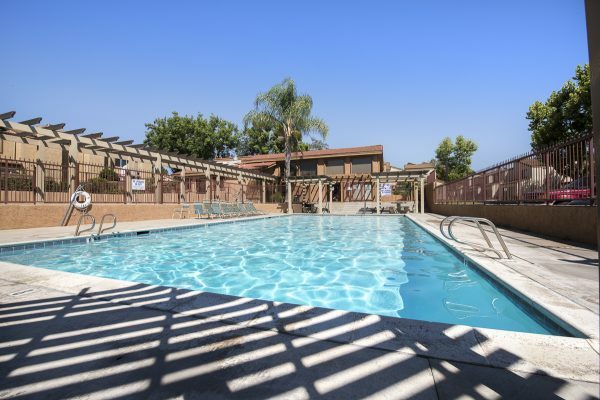 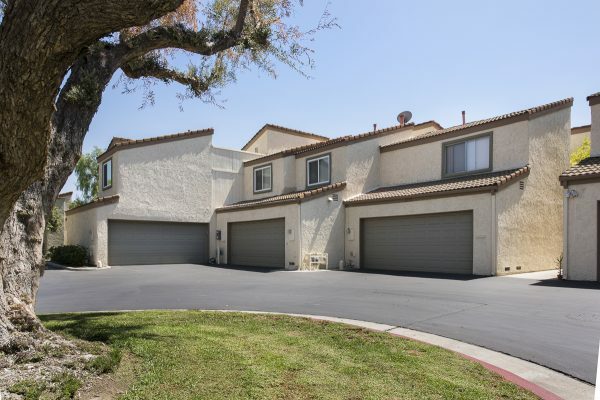 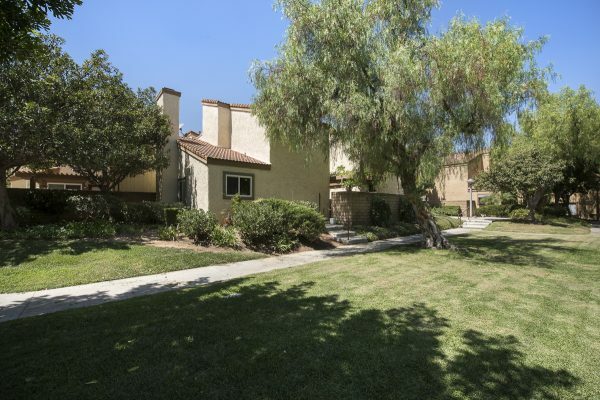 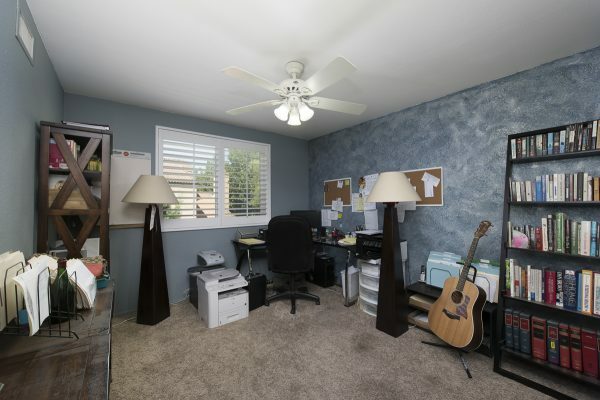 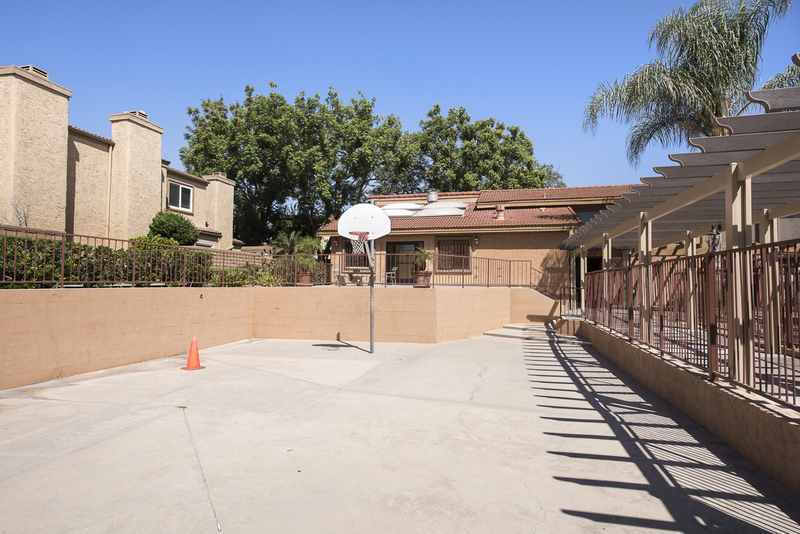 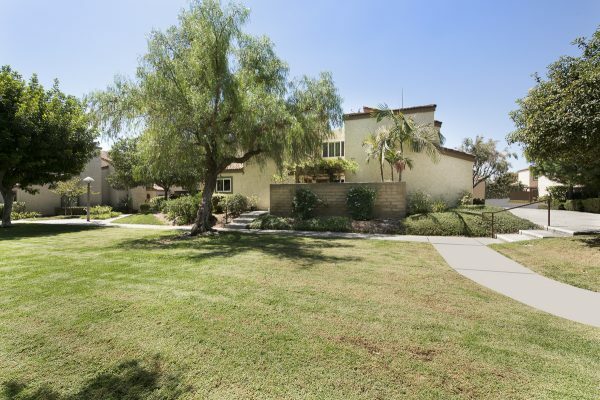 Situated in the hills of Fullerton with easy access to freeways, parks, trails, shopping and dining; this location is outstanding. 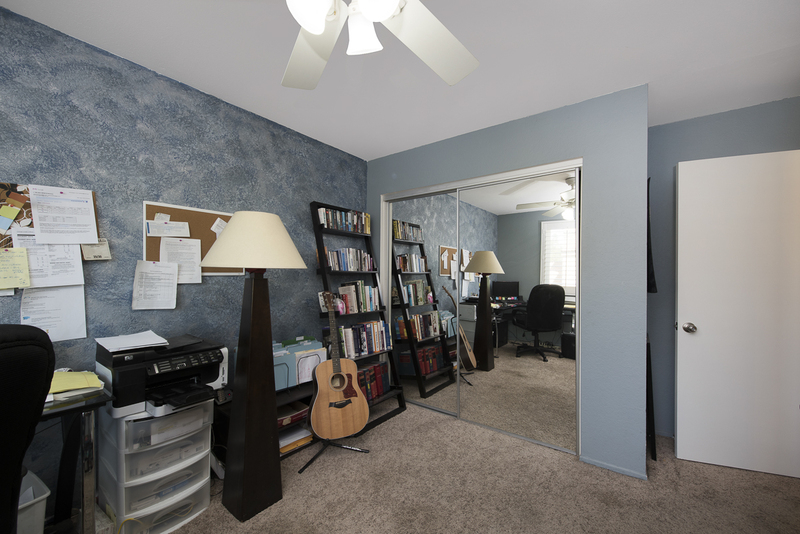 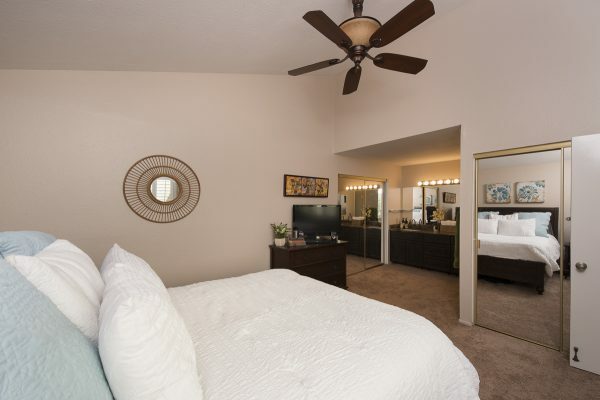 The rare interior end unit has no one above or below, has a view of the green belt, and has an attached two car garage with laundry. 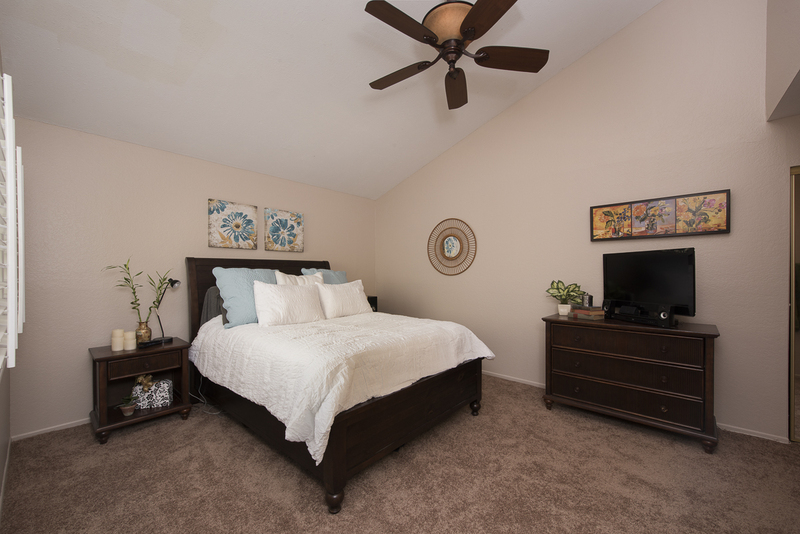 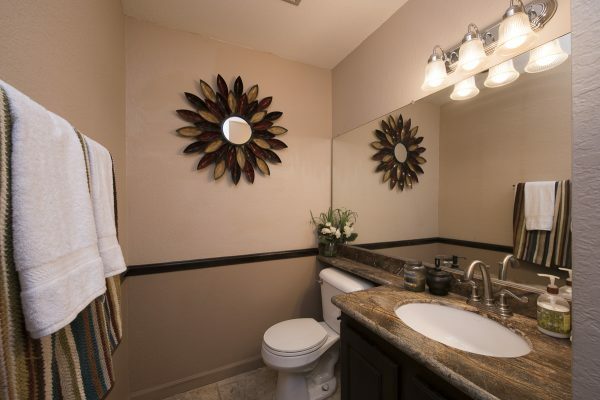 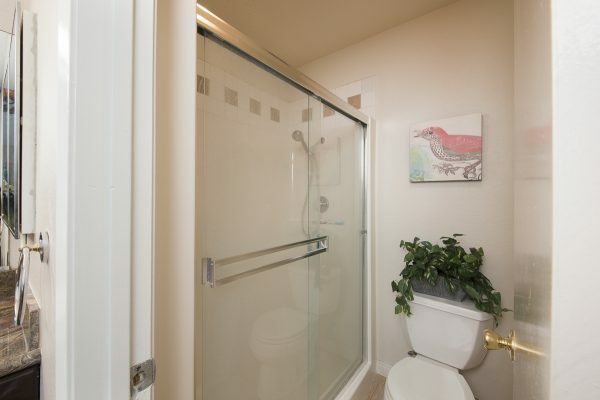 The many upgrades include: Granite counter tops, stainless steel appliances, natural stone tile flooring, master suite with dual sinks, dual pane windows, plantation shutters, central heat & air conditioning, fireplace, French patio doors, recessed lighting, and crown molding. 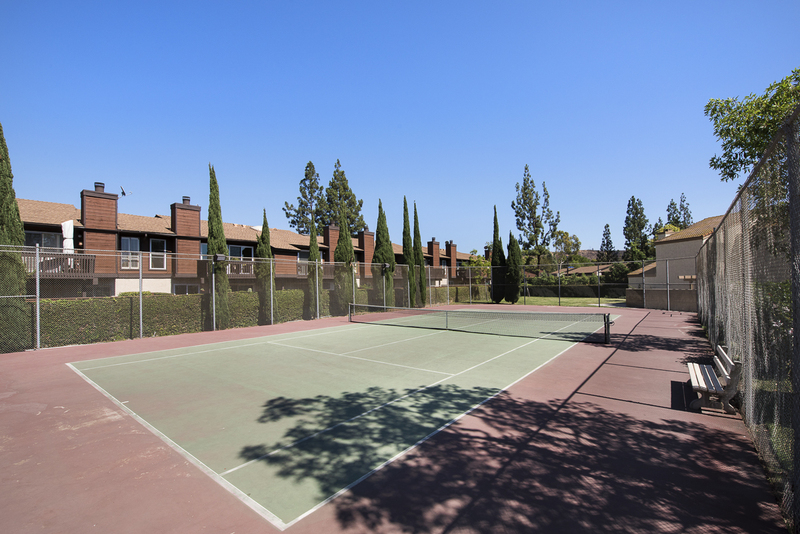 The well maintained community includes: Tennis courts, swimming pool & spa, club house, sport court, and green belts with walk ways. 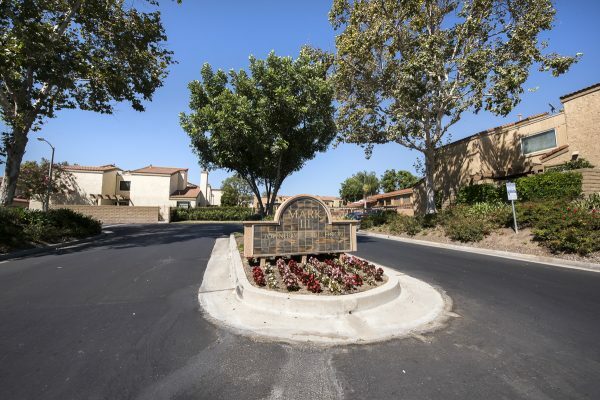 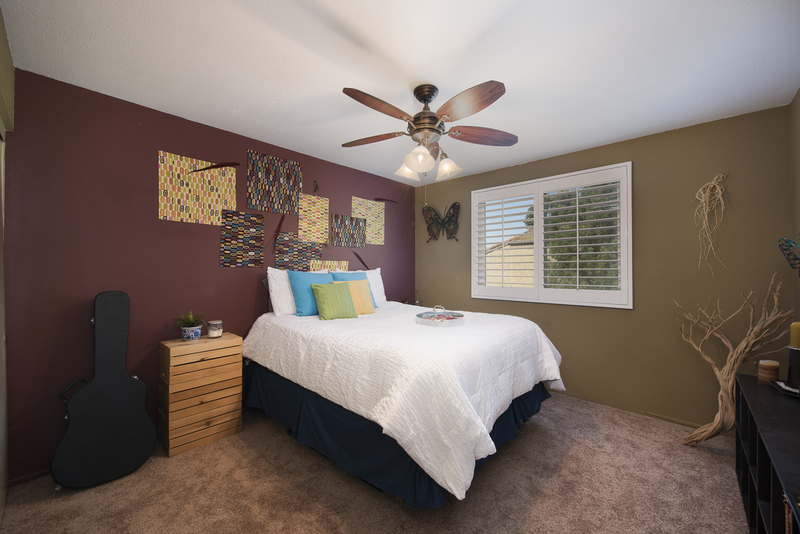 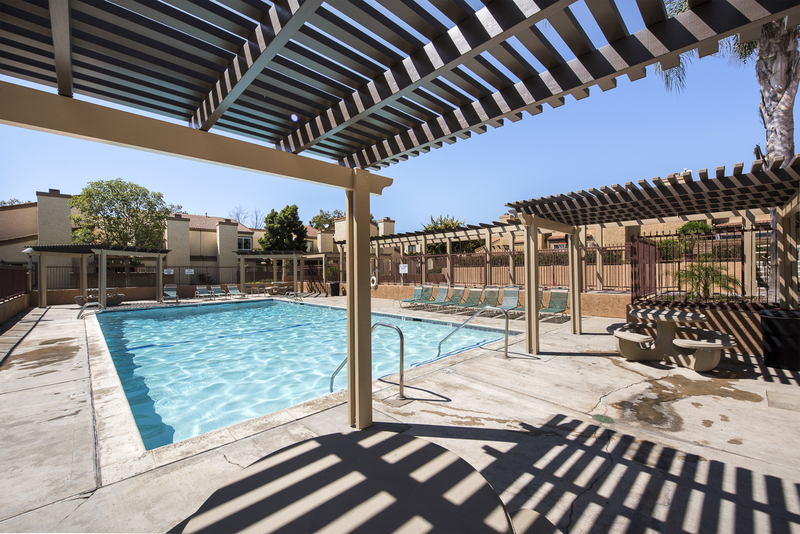 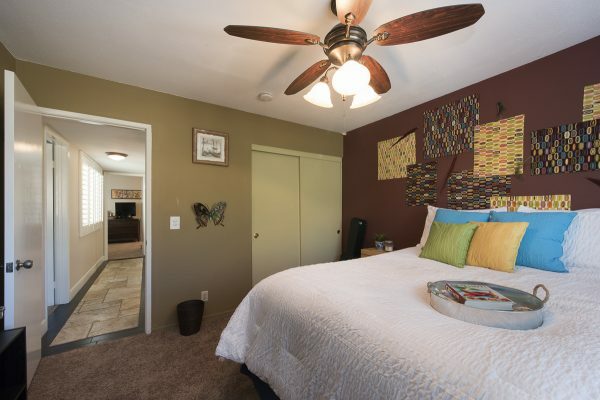 The Coyote Hills Golf Course and famous Fullerton recreational trail system are just steps away. 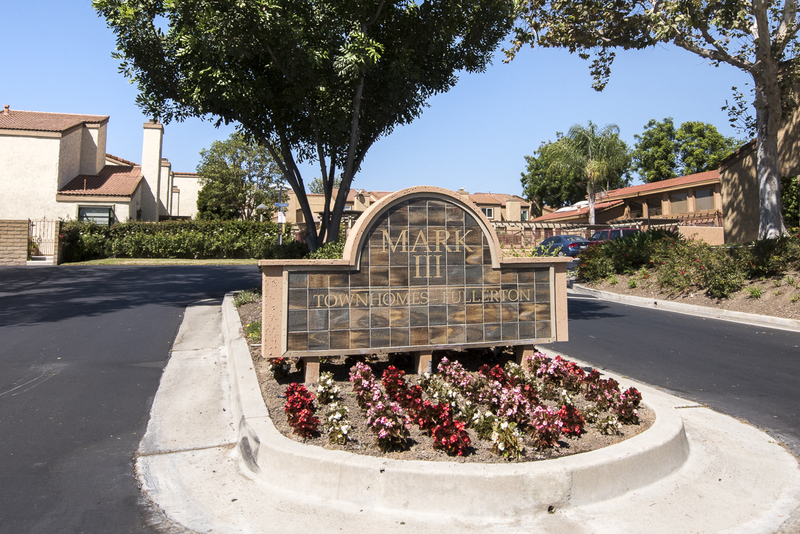 Live the dream and come home to Mark III today.